← “Goddess” Wearable Art & Home Decor at Nazim Artist’s VIDA Webshop! Nazim created a painting especially for me to create a collection using this artwork for my VIDA wearable art on line store! 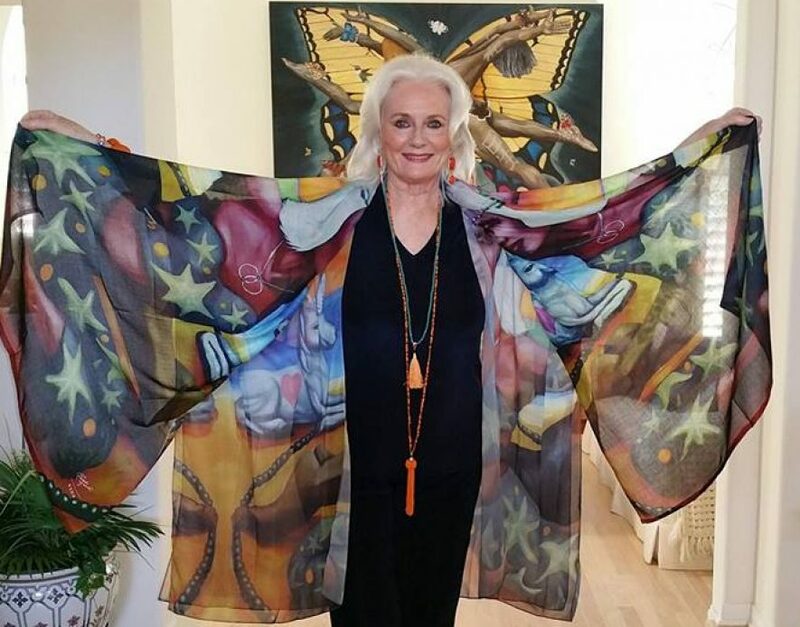 The acrylic on canvas is called “Cosmic Flutter” and here are the first designs that are now live at my Celeste Yarnall VIDA webshop! The collection includes a versatile Multi-Wear Wrap which doubles as a scarf. And a Fold a Way Tote Bag for shopping or trips to Yoga or Exercise class! Nazim and I love being part of the VIDA family of designers and view this venture as true conscious commerce. We truly hope you like my wearable art and home decor collection. Please visit my webshop soon!